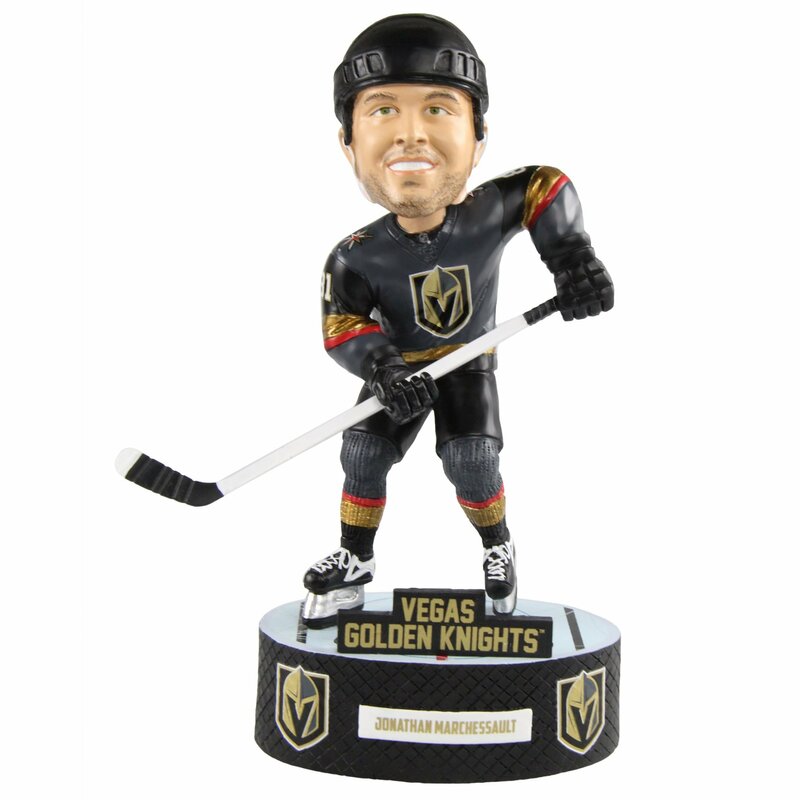 If you weren’t one of the lucky 18,000 who got Chance the Bobblehead (or if you sold yours on eBay because they are more valuable than tickets to tonight’s game), your bobblehead collection can still have a Golden Knights representative. 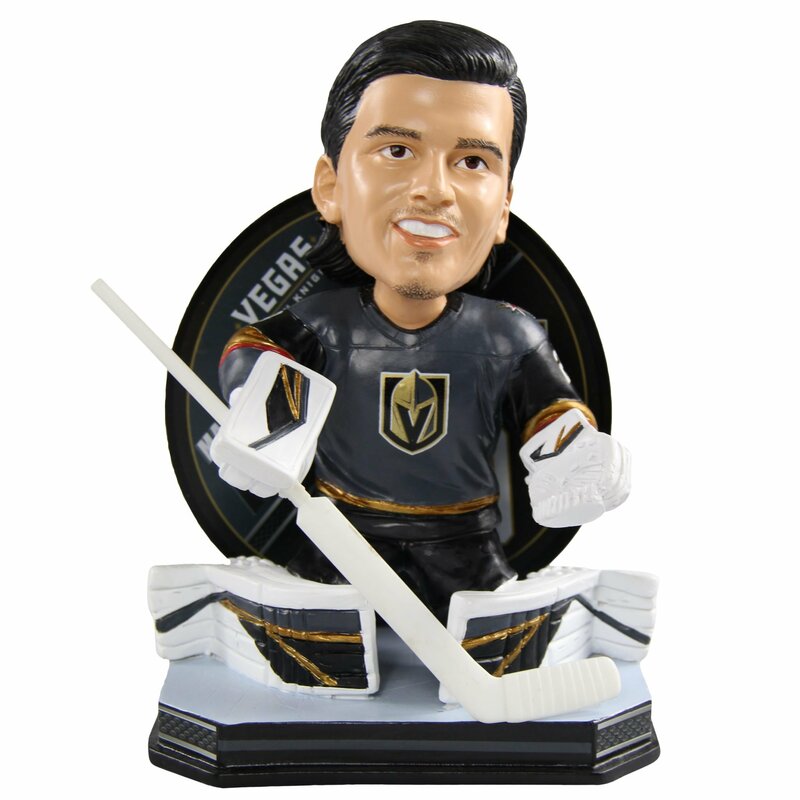 The National Bobblehead Hall of Fame and Museum, yes that’s a real thing, released a limited-edition bobblehead of Marc-Andre Fleury. 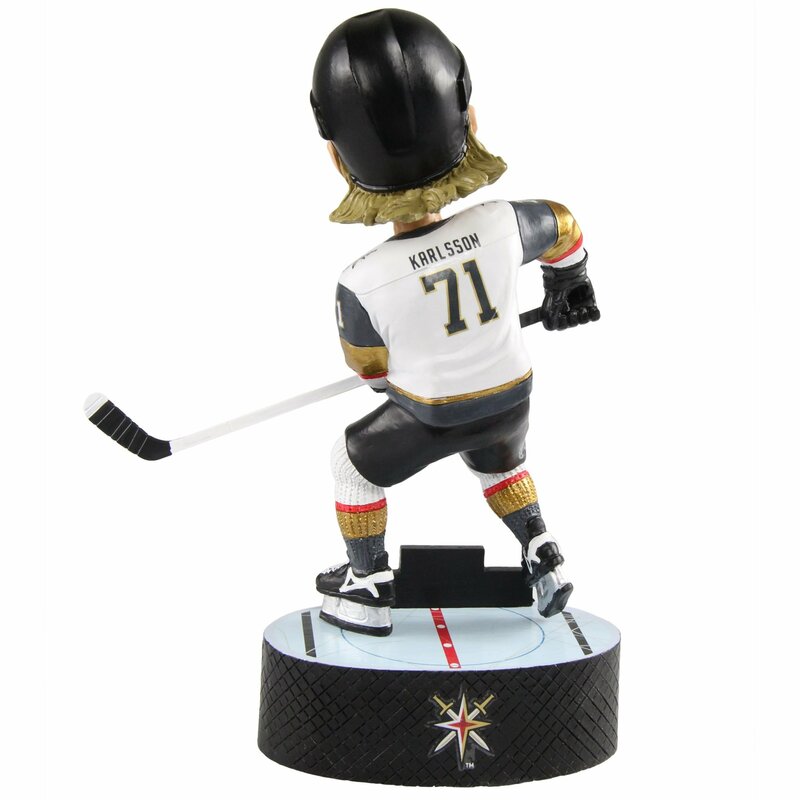 This is the first bobblehead ever produced of a Golden Knights player in the team’s uniform and it’s available now. 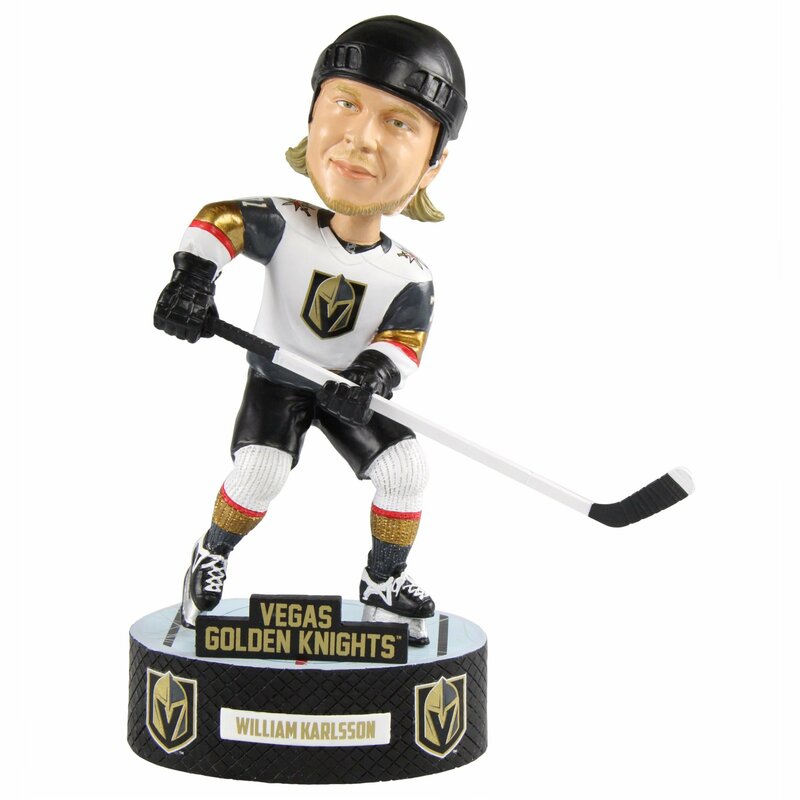 Jonathan Marchessault and William Karlsson bobbleheads will be available soon, followed by Deryk Engelland, Erik Haula, Nate Schmidt, James Neal, and Reilly Smith. 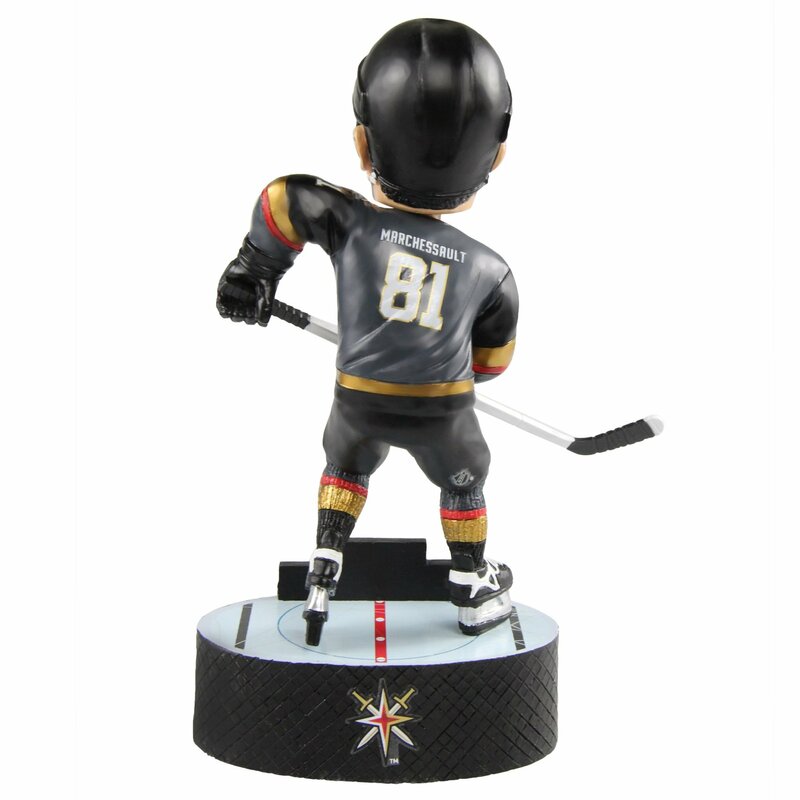 Plus another Chance bobblehead will be available, this time in the grey jersey. 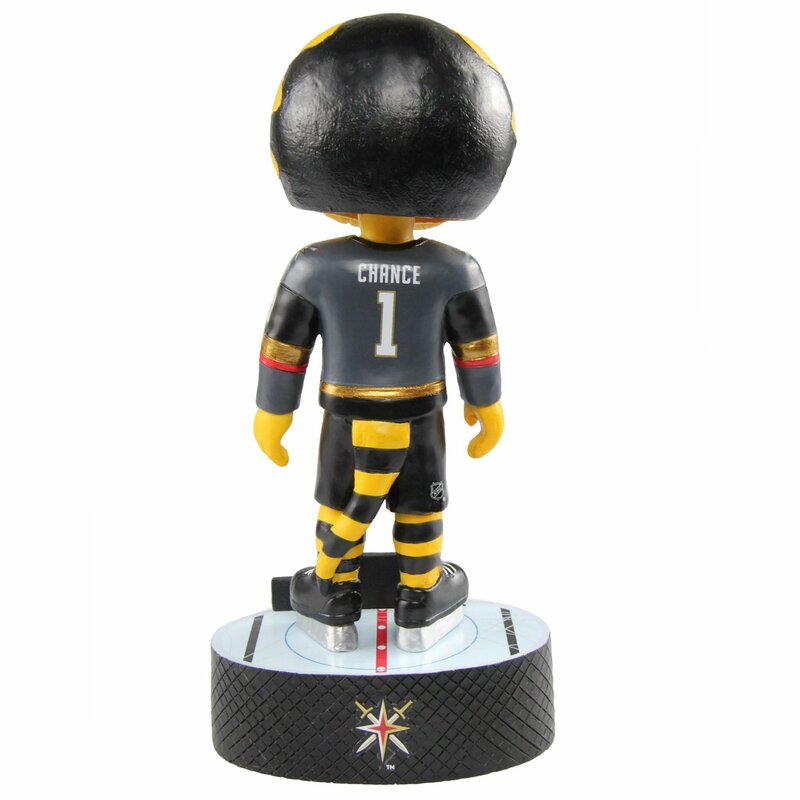 The Fleury one is on sale now, the rest are expected sometime this Summer. 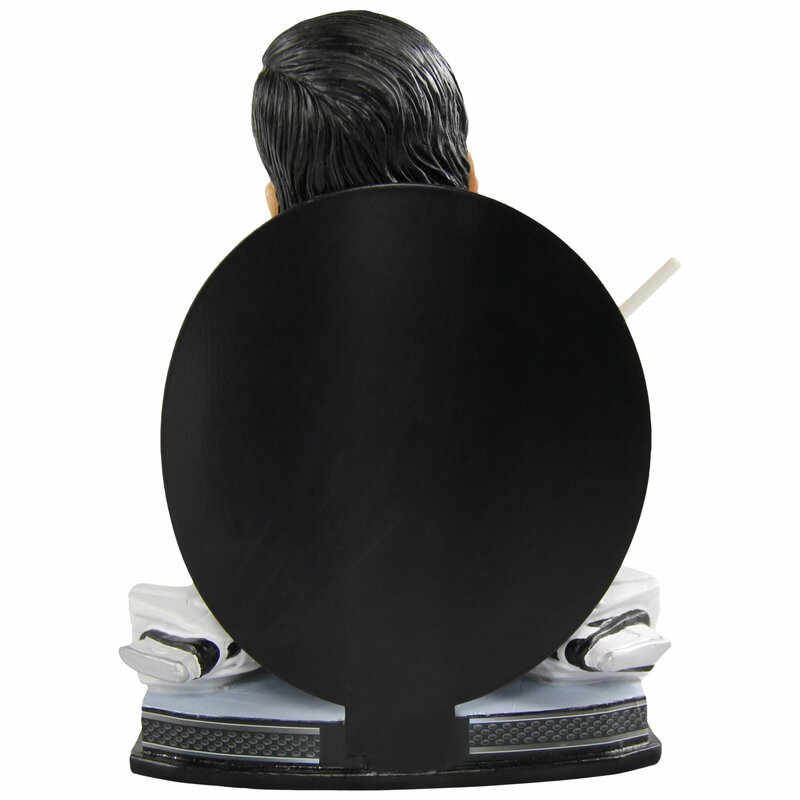 Also, we should have one to give away soon, so keep your eyes peeled for the next edition of #HockeySquares. Well, can’t say we weren’t prepared for that. Opposing team’s “mascot” skates out, tries to pull the sword from the stone, and can’t do it. Then the Golden Knight appears to pull the sword out, the arena lights up, and the crowd goes wild. Oh, about that last part. Yeah, well, nevermind. 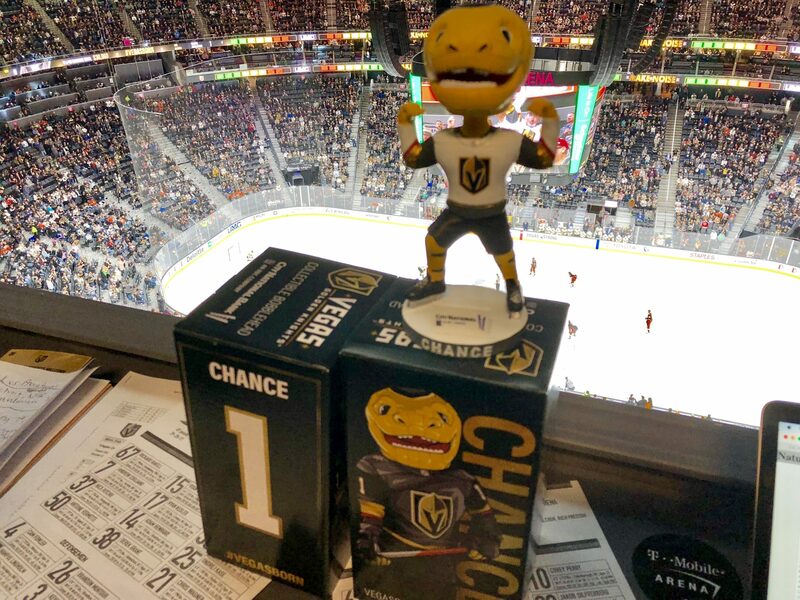 It was exactly what The Creator has been saying it would be for the better part of three years, and the Golden Knights gameday staff did as much as they possibly could with it to make it as not-awful as physically possible.